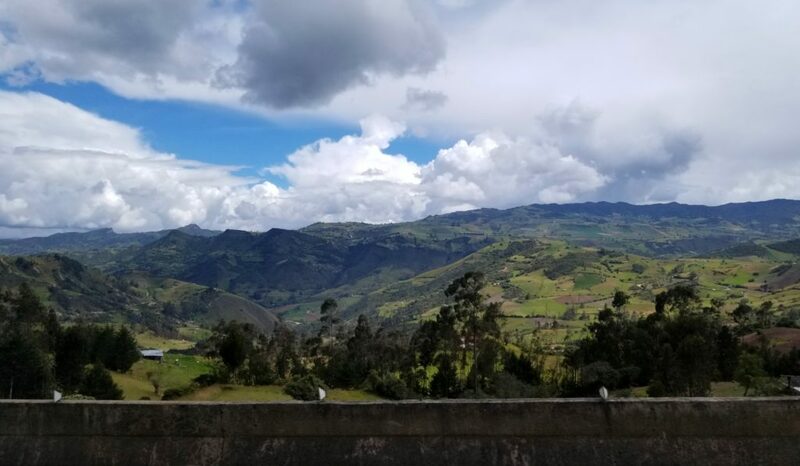 As I write this, we are five days into our five-month adventure in South America. 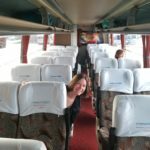 We are taking our first intercity bus from Bogota to San Gil via Socorro, and Sarah is reading through some Spanish phrases. So far, we have learned that we have, well, a lot to learn. More specifically, we have to learn Spanish. But challenge accepted! We are giving our all to overcoming language barriers and learning Spanish. 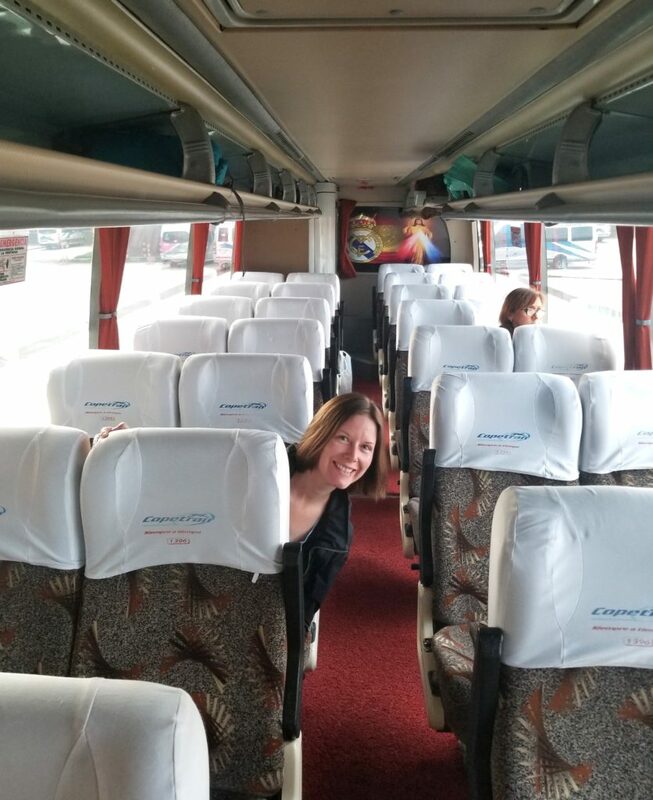 I knew we would be diving in head first to Colombian culture by starting our journey in a city that has a population of 8-10 million people, very few of whom speak English. In the past, we never sweated not being fluent in the native language of a country we were visiting. We would learn greeting and the basics of how to order at a restaurant, check into a hotel and go to a grocery store. This was perfectly fine for us to get by for a few weeks on vacation. The difference now is we are not on vacation — we are going to be in South America for almost five months! After taking four years of Spanish — eons ago — it turns out I do not know much Spanish. Sarah finds herself inherently wanting to use Italian — she took classes a couple of years ago and both languages have similarities which are easy to confuse. It is difficult, yet exciting. 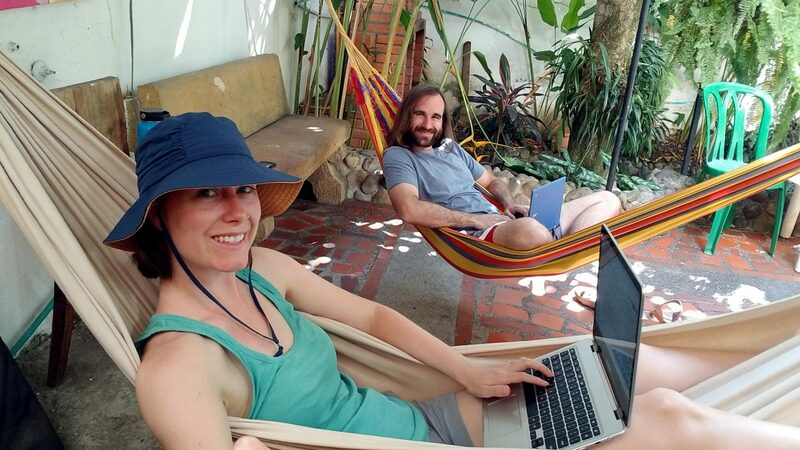 Pro Tip: Learning Spanish from a hammock is the way to go. 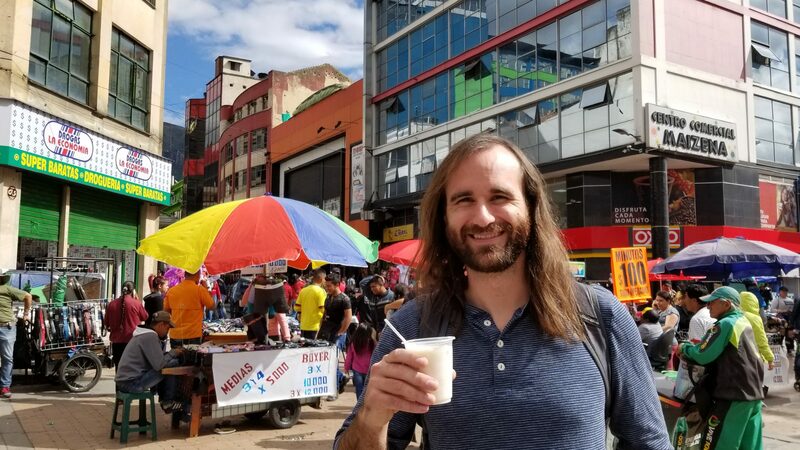 From getting a SIM card — yes we have a Colombian phone number now — to ordering dishes we have never heard of, time and time again, the people of Bogota showed us what it truly means to be patient and kind. We befriended locals, one of whom took us out dancing and took us out to dinner with his family. Another local — our AirBnb host — took us to three different hiking trails. All of them ended up being closed so we didn’t get to hike together, but we were still grateful he was willing to spend some time with us during our stay! All of these encounters also provided us with an opportunity to practice our Spanish. That said, we overpaid for services or food several times because of our developing language skills. After arriving to Bogota around midnight, we opted to take a cab rather than trying to figure out the public transit system. Naturally, we paid way to much. We later learned our first taxi ride cost us about four times more than it should have. What stands out most about learning a new language through immersion is that no one is laughing at us for trying, unless of course, we are laughing too. Butcher a word? It’s fine. Eating soup and accidentally ask for a knife (cuchillo) instead of a spoon (cuchara)? No problem. We are finding that people genuinely want to understand what we are trying to convey and it is encouraging. We are hopeful that as more weeks pass, our Spanish will continue to improve. 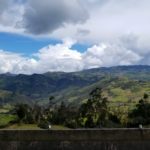 Check out these tips for learning Spanish while backpacking from our travel friends The Irish Nomads. Wish us luck and let us know if you have any tips for learning Spanish!